A vacation on Cape Cod is all about the simple pleasures in life such as fishing, golf and indulging in good food. With delightful beaches offering stunning ocean views, green pastures and exquisite architecture, Cape Cod is the perfect place to relax and partake in some precious family time this summer. The Ocean Edge Resort and Golf Club is the ideal option for your family summer vacation. Adored with a fabulous location on Cape Cod Bay and an upscale yet understated atmosphere, this resort is the birthplace of those wonderful family memories you cherish for years to come. Hailed as “Cape Cod’s Premier Resort”, the roots of Ocean Edge are steeped in the area’s rich heritage. Samuel Nickerson, a bigwig in the Cape’s social swirl at the turn of the 20th century was known for his exuberant Gatsby like parties inviting all the rich and famous to drink the night away with beautiful girls and good booze. His estate used to occupy the 400-acre grounds, where the resort now lies. After World War II, the estate was sold and converted into a seminary. 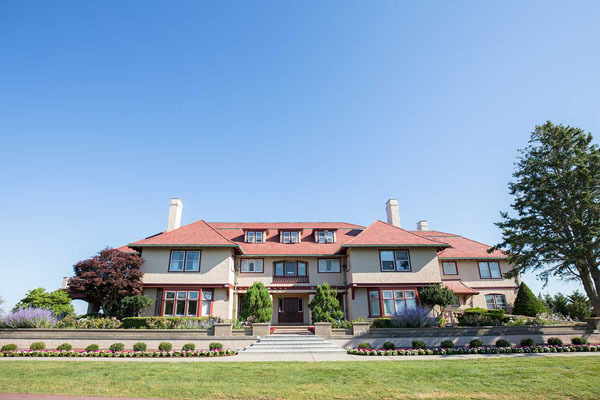 The impeccable woodwork in Nickerson’s mansion has been restored and the expansive grounds are once again thriving, and now features half a dozen pools and lots of wide-open spaces for activities, such as croquet. The Mansion offers 90 luxuriously appointed guestrooms of two or three bedroom from the Presidential Bay Collection. Each room is complete with all the amenities you will need, plus with the added touch of style and luxury, it feels like you are living in your own private mansion. The Mansion guestrooms have views of the resort or garden and are all a short walk to the private beach. The Villages side spans 380 emerald acres, which are friendly to walk and bike across. They offer spacious 1,2 and 3 bedroom villas, in a chic and quintessential Cape Cod décor. Just outside your door awaits one of the finest 18-hole championship Nicklaus Design golf course, as well as tennis courts. There is a beach shuttle available several times a day to transport guests from the Villages to some of the best local beaches. The Ocean EdgeVenture program is designed for children aged four through nine who want to experience all the resort has to offer while having fun. With a new theme each day, your kids are guaranteed to be entertained while you rejuvenate at the spa, or for the dads, enjoy a peaceful day on the golf course. For a more adventurous time, the resort provides access to the 26 mile Cape Cod Bike and Rail Trail, with all equipment including helmets and bikes available for rent, so you don’t have to go through the hassle of lugging your own bikes to the resort. Some fun water activities include paddle boarding and kayaking at the beautiful Pines Beach. For relaxation, check out the brand new Beach House Spa providing guests with treatments such as facials, massages, nail services, and waxing as well as approachable wellness offerings including acupuncture happy hours, drumming on the beach, and meditation.